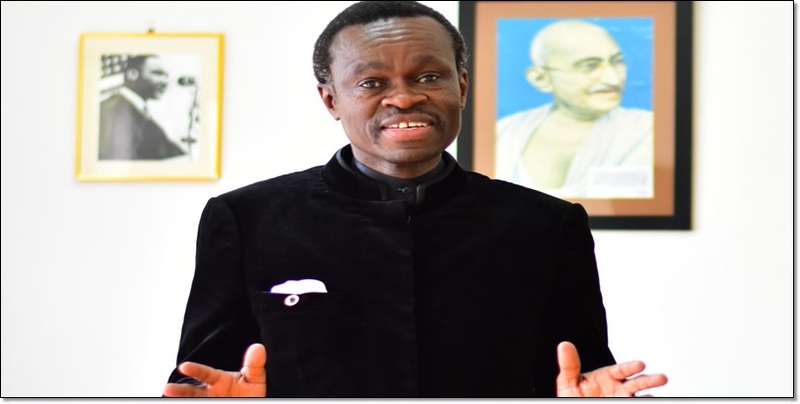 Prof. PLO Lumumba is one of my best friends. I had lunch with him as we discussed his trip to Zambia. He had dual invites: Paying a courtesy call on H.E President Kenneth Kaunda, who is his long time friend, and to give the Keynote Address at the Graduation Ceremony of Eden University. My friend tells me that you denied him entry to Zambia. The reason given for the deportation was that he was a security risk. As a lawyer, you may have feared that PLO who is a distinguished lawyer with no blemish would have spoken about your expulsion from the Roll of Advocates of Zambia in 2010 for professional misconduct. He wasn’t going to. Or maybe, you thought he was going to speak about how Zambian Electoral Commission gave you 100,000 votes more than your rival Hakainde Hichilema to make sure you cross 50% plus to avoid Run-Off. He wasn’t going to. And he wasn’t going to inform the people of Zambia that you don’t trust Zambian Doctors even for a minor ailment. Unlike those you Rule, you go to South Africa for your medical check-ups and treatment. My friend was going to talk about the Colonization of Zambia by China. It wasn’t lost on you that PLO is a friend of the Founder of Zambia. Kenneth Kaunda liberated Zambia, but you have given away Zambia to China for 30 Pieces of Silver. China gave you Loans that you knew poor and miserable Zambia can’t pay. Yet you secured the Loans on Zambia’s copper, Airport, Power company and Broadcasting Station. And we have heard Zambia is taking possessions of all these as you can’t pay. Zambia is a signatory to UN, AU and Commonwealth Conventions on Human and Political Rights. Kenya and Zambia enjoy many bilateral treaties including automatic visa on arrival. You have no right to deport PLO from Zambia. PLO speaks truth to power. Your people may not tell you of your nakedness, but in Kenya, we tell our leaders so. This Open Letter acts as notice that you must rescind my friend’s deportation and apologize to him personally. In default, the People of Kenya will demand reciprocal sanctions against your people.